There's been some speculation the last couple of weeks that AMD is pursuing an ARM architecture license or might even consider buying the company outright. Although rumors that a partnership was in the works were quickly shot down, today the firm's Marketing Director John Taylor made some interesting comments to eWeek, basically saying that they are not closing the doors on such a deal either, seeing as they have "similar views on where the industry is going." 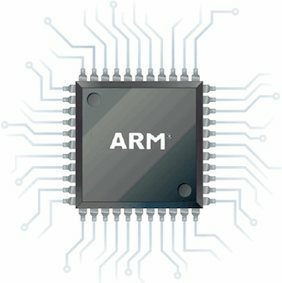 According to Taylor, ARM sees the world very similarly to how AMD does, noting that the industry can't keep pushing CPU-like cores without sacrificing energy efficiency. He goes on to mention how both companies share common ground when it comes to offering balanced computing and seeing the potential of GPUs to push performance. The company has been championing this message for some time now, predicting the end of the core count wars in favor of efficiency and useful on-die specialized computing capabilities. Indeed they've been giving more importance to parallel processing and the ability to multitask in their Fusion APUs rather than focusing on classic x86 performance, claiming the latter is now almost indistinguishable in common tasks. AMD likens this change to the end of frequency wars that primed not long ago, in which improvements in each generation of CPUs were largely measured by higher clock speeds. But even as their low-power Ontario and Zacate mobile processors gain a few backers in the netbook and budget notebook space for bringing solid performance and graphics without hurting battery life, they are still not quite ready for smartphones and tablets -- the rising stars of the market. AMD is working on bringing power consumption of its chips further down to enter this market. While an ARM deal may not be in the works for now, it seems that they wouldn't be entirely closed to the idea of taking a shortcut with ARM-based Fusion chips, especially seeing how successful Nvidia has been with Tegra.